The Congress-led UPA government has provided a bonanza to the corporates and the richer sections. From 13 billionaires (with net assets of Rs 5,000 crore and above) in 2003, by 2012 there were 122 such billionaires. Between 2009 and 2013 a massive Rs 21 lakh crores of central government tax revenues were given away as taxes forgone or in tax concessions. The government has resorted to massive disinvestment selling more than Rs 91,000 crores worth of shares of public sector units between 2009 and 2013. The government has allowed the loot of natural resources of the country whether it be land, minerals, gas or spectrum. Windfall profits have been made by big business houses and private companies through this plunder. The government did not take measures to tap the tax potential — either by raising effective rates or cracking down on massive evasion of taxes by the wealthy. The tax-GDP ratio has remained lower than they were in 2007-08. Instead of raising resources, the curbing of government expenditure became a priority. There have been cuts in expenditure bearing on the lives of people such as on agriculture and rural development (which includes MNREGA); health and education. Fertilizer, food and petroleum subsidies have been cut down. Subsidies on food and fuel were cut by Rs 78,000 crore in the last three years. The entry of Foreign Capital (FDI and FIIs) has been allowed in all spheres. FDI caps have been enhanced in the banking, infrastructure, real estate, defence production and agri-business. The FDI in multi-brand retail is a graphic example of how the interests of Walmart and other foreign supermarket chains supersede the livelihood and employment of 4 crore (40 million) people in retail trade in India. 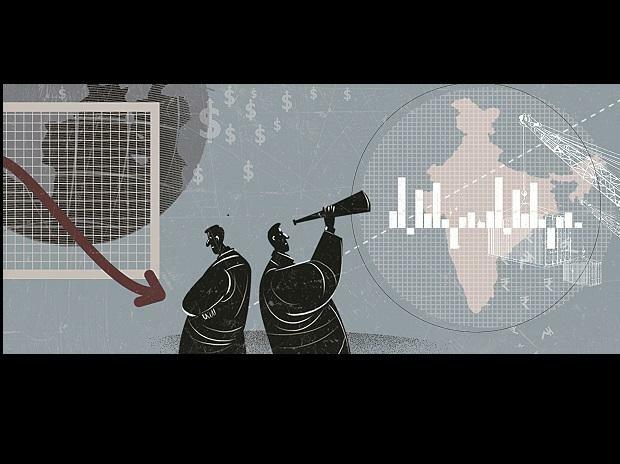 Faced with an economic slowdown the UPA government seeks to woo foreign capital by giving more concessions and providing big business with further tax cuts and incentives. What is required is massive public investment in rural development, agriculture, infrastructure and social sectors. This would create demand and new jobs. But given its class bias, the government has refused to undertake this. The pursuit of the neo-liberal policies by the six-year BJP-led government and the ten year Congress-led government, need to be reversed. What is required are alternative economic policies in the interests of the people and the country. India ranks 94th out of 199 countries in the Global Hunger Index. The shame of chronic hunger and deprivation of food constitutes a damning indictment of the polices pursued by the UPA government and the earlier NDA regime. Both have steadfastly refused to introduce a universal public distribution system as it goes against the World Bank and market prescriptions. The Food Security law enacted by parliament is cited as a major step towards food security. This is not true. It continues with a targeted system. It provides for only 5 kg per individual per month. In urban areas 50 per cent of the people are excluded. The CPI(M) and the Left have consistently fought for a universal public Distribution System. We need to provide a minimum of 35 kg of foodgrains to all families at not more than Rs 2 per kg. The citizen’s basic right to food has to be ensured. The last one decade of UPA rule has set an unprecedented record for corruption with one mega scam after the other from the 2G spectrum to the coal allocation and the KG basin gas pricing. The government’s neo-liberal policies has spawned a nexus of big business-ruling politician-bureaucrats. CAG has estimated that the 2G telecom has cost the exchequer Rs 1.76 lakh crore while the coal scam around Rs. 1.86 lakh crore. The KG basin gas deal and the earlier concessions to Reliance for increased gas price had led to a loss of around Rs. 100,000 crore to the government. The current revision proposed by the government, is twice this amount. The Commonwealth Games scam was worth around Rs 60,000 crore. Resources that belong to the people are being looted through a range of corrupt practices. Illegal flows to tax havens and offshore accounts have grown rapidly along with black money; the post-reform annual flows are five times the pre-reform flows. The total accumulated capital and assets held by Indians abroad is estimated to be in the range of half a trillion dollars (Rs 25 lakh crore) to 1.4 trillion dollars (Rs 70 lakh crores). The outrage among the people and the protest against corruption finally compelled the UPA government to bring an amended Lokpal legislation which was adopted in parliament. However, the Lokpal Act needs to bring within its purview the PPP projects and the contracts given out to corporates involving public funds. More importantly, the big business-politician-bureaucrat nexus spawned by the neo-liberal regime needs to be broken. The CPI(M) calls for the reversal of the neo-liberal policies which have spawned such a nexus. The decade long UPA government has shifted the course of foreign policy towards a pro-US orientation. In the first term, it surrendered the independent basis of foreign policy by entering into a strategic alliance with the United States of America, military cooperation and signing the Indo-US nuclear deal. The consequence of these steps have unfolded in its second term. India acted against its own interests by curtailing its relations with Iran. Edited excerpts from the manifesto of the Communist Party of India Marxist, released on March 28 in New Delhi.